Twenty eight academy trusts have been ordered to justify salaries over £100,000, as the Government continues its drive to ensure pay in schools matches individual responsibilities and the standard of education on offer. Academies Minister Lord Agnew has written to 28 chairs of trustees today (Tuesday 05 February) as part of the Government’s commitment to curb ‘excessive’ salaries based on the size, standards, and financial health of trusts. The academies have been asked to provide more details on the pay of executives who earn more than £150,000 - and those earning £100,000 if two or more people in a school earn a six-figure salary. Lord Agnew’s request forms part of the Government’s requirement for academy trusts to publish high salaries in their accounts, providing a far higher level of public scrutiny than local authority schools, who are not required to prepare individual statutory accounts. 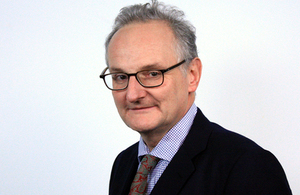 In the letter, which has been sent to fewer than 1% of academy trusts nationwide, Lord Agnew calls on the chairs to work with the Government on the “divisive issue” of high pay, asking them to justify salaries and reassure ministers that that they are not “diverting financial resources that could be more effectively deployed on the front line of education”. This is the latest step taken by the Department for Education to bear down on academy trusts that pay excessive salaries and ensure they are more accountable for the money they spend, bringing them in line with the overwhelming majority of academy trusts – fewer than 4% of trusts pay two or more salaries between £100k-£150k. It follows the news that more than 50% of pupils in state-funded schools in England are now studying in an academy or free school, and new research which shows that, in the majority of cases, standards have risen more quickly in sponsored academies than similar council-run schools. Academies are raising standards in schools across the country – replacing underperforming council-run schools in some of the most disadvantaged areas and helping young people to raise their aspirations through a better standard of education. The best academies place freedom in the hands of school leaders but with that autonomy comes greater accountability and transparency, which is exactly why I am insistent that the salaries of their executives are justifiable. And just because we are advocates of the academies programme, doesn’t mean we won’t call a trust out where we believe they are not acting responsibly. The overwhelming majority of academies are behaving responsibly and by publicly challenging the minority of trusts that are not complying with this request, we will ensure that every pound of public money is spent as effectively as possible to continue improving the standard of education in our schools. Today’s letter follows a successful drive to ensure pay is justifiable and proportionate in England’s schools. To date, Eileen Milner, CEO of the Education and Skills Funding Agency (ESFA) has written to the chair of trustees at 213 academy trusts, 45 of which have reduced salaries. Last week – to mark the milestone of 50% of children in state-funded schools in England now being taught in an academy or free school – Education Secretary Damian Hinds called for more schools to consider the freedom and opportunities offered by becoming an academy, urging them to join more than 8,300 schools in the country that have become an academy or opened as a free school, with hundreds of schools making the positive choice to convert to become an academy in the last 12 months alone.